Download and install the latest ASUS ZenBook Pro 15 UX580GE drivers for Windows 10 64 Bit to get your laptop work properly. These Asus UX580GE drivers are compatible with these models : Asus UX580GE-XB74T, UX580GE-DB74T, UX580GE-E2032T, UX580GE-E2036R, UX580GE-E2014T, and UX580GE-BO022T. 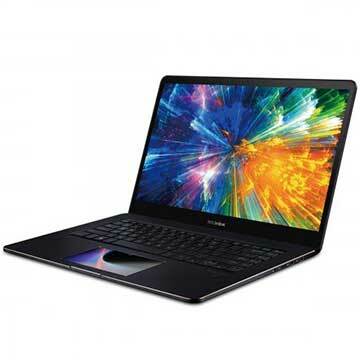 ASUS ZenBook Pro 15 UX580GE is 15.6 inch touch-screen laptop powered by up to 2.9GHz Intel Core i9-8950HK processor hexa-core processor with discrete NVIDIA GeForce GTX 1050 Ti graphics video card with dedicated 4GB GDDR5 VRAM. This notebook PC features Dual-band 802.11ac gigabit-class Wi-Fi, Bluetooth 5.0, VGA web camera, Type-C USB 3.1 Gen 2 (Thunderbolt 3) ports, Type-A USB 3.1 Gen 2, HDMI, MicroSD card slot, Fingerprint sensor, 5.5” FHD screenpad, and 71Wh 8-cell lithium-polymer battery with up to 9.5 hours battery life.